Ingredients we LOVE (and those we avoid) and WHY. We know A LOT about the skin and everything that goes with it. That’s why we do what we do. Some was learnt from the diplomas we both hold, but we learned a whole lot from our personal experiences. I (Kate) have super sensitive skin—well I used to—since using the correct ingredients I’ve built some resilience; however, I still treat my skin with a bit more TLC than others. Mel had her skin stripped down to raw red, very sore skin by a beauty therapist MANY years ago now and it took us a long time to heal and restore her skin. She ended up with early onset rosacea temporarily (to explain for those who don’t know rosacea usually only effects mature aged women so getting in her 20’s was early early), which we’ve healed but like me—she needs to tread carefully too. These are two big motivators to not only keep making you amazing skincare, but to also share our knowledge with educational workshops and courses so you feel more empowered. To begin with though: I’ll share the ingredients we love (and those we don’t) so you can decide if you want more information through our workshops or online course. We’ll explore one we LOVE (and one we don’t) each week. One we LOVE to use. 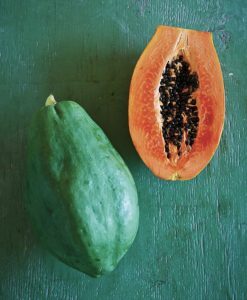 We use a certified organic extract of pawpaw or papaya in our Be Smooth Face Polish and it’s included in the exfoliation base product given in our workshops and retreats. When we talk things we love—we research it in its entirety (not just on the skin). You will probably always get too much information from us. It’s just how we roll. • Many nutritionists suggest eating paw paw with meat to aid digestion as it contains a digestive enzyme called papain that breaks down the protein. You may already know why this is great news. Given our skin is made up of 25 percent protein in the form of keratin (often touted asa key ingredient in hair-care products) the papain enzyme helps to dissolve dead skin cells on the surface of the skin without destroying the livingones. This removes the risk of over-exfoliating and taking the cells to the Hayflick limit, which means the cell has divided to its maximum capacity and cannot renew—making it lifeless and dull. • Mainstream skincare mostly uses alpha hydroxy acids (AHAs) to break down keratin, which is the ‘cement’ that holds the cells together. Whereas our beloved paw paw works on the actual dead cells too—so much safer, especially for sensitive skin or skin that becomes flaky easily. It is much less likely to sting or burn like most AHAs can. I could almost say WON’T sting or burn as it’s that rare, but as someone with sensitive skin, I understand how cautious you should be. Always use anything new sparingly until you gauge your skin’s reaction. • Like all fruits, eating paw paw provides antioxidants to protect you from free radical damage, but paw paw is also mega rich in beta-carotene. This is what gives it that gorgeous yellow-orange colour. Beta carotene is a well-researched, free radical scavenger and precursor to Vitamin A, which is essential for great skin. More on Vitamin A later. • Paw paw also contains lycopene, found in all red, orange, and yellow fruits (belonging to the carotenoid group) that our bodies’ require for normal growth and cell development. When part of our diet, they are basically preventing the signs of ageing from the inside out! Lycopene can also change the colour of your skin giving it the appearance of a tan, safely. That alone is a great reason to eat this delicious fruit as far as I am concerned. • With three times the Vitamin C of an apple, twice as much as a banana, and one third as much as an orange we could probably stop there. But wait there’s more: paw paw also contains magnesium, iron, copper and manganese along with potassium and significant amounts of riboflavin, niacin, calcium, phosphorous and zinc. (And, exhale). So, in a ‘paw-paw nut shell’, if you use our products containing Papaya Extract and eat paw paw/papaya—it’s really a win-win. Now let’s take a wee look an ingredient we don’t love. Period. One we choose NOT to use. At Bubbles, most ingredients that we choose not to use, are considered ‘safe’ when used at percentages equal to or lower than what industry research recommends. That said—unless you’re sure the product you’re using only contains said ‘safe’ amount, you never really know exactly because we (i.e. the beauty industry) are not forced to comply with any regulations around the ingredients we use. What this means is companies don’t actually have to use these ingredients at the recommended safe percentages because nobody is holding them accountable. Nobody except ALLLLLLL of you that is. This is one reason we feel it’s best to avoid them completely. Then you know for sure right—it’s really the only way to be really REALLY sure it’s safe. One of our workshop modules is on skin safe ingredients and understanding the way ingredients are listed on products e.g. what the order means and why they always use the big long words that are almost impossible to pronounce rather than the more common, much easier shorter versions. Ok, so back to SLS. • It is a known skin irritant. If you have a dry, itchy scalp or red, inflamed skin, sore red gums, or stinging itchy eyes—SLS will most likely be the culprit. Used in MANY shampoos, toothpaste, body washes, soaps etc. etc.—this VERY cheap ingredient is widely used by the cosmetic industry. • It is actually a pesticide and herbicide. Used in higher concentration than what is ‘recommended’ (again it is only recommended) in skincare this guy is used to kill pests on your vegetables. The makers of SLS applied for approval as an organic pesticide but was declined because of the environmental damage it causes. 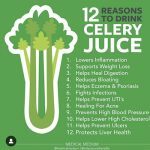 • It can permeate body tissues. Studies from the US have determined that SLS can permeate the eyes, brain, heart and liver. Eeeeeeeek. Given this ingredient is in toothpaste means it’s being ingested. And yes, if you can believe it there are SO many more reasons to avoid this guy but this article is just about piquing your interest. For those who want more, our workshops and online courses are opening soon. Now, we’re not suggesting that you go through your whole house madly disposing of all the SLS products. We just want to help build awareness and curiosity about what you put on and in your bodies, so you can decide where to from here, based on correct information. It’s always about choosing where to start. For me, I slowly transitioned out everything with SLS’s and pretty much any ingredient that I believe is toxic or harmful based on how much of it is in the product, but it was a slow process. And it’s taken a long time to work it what works, what smells and feels good. But for me it’s worth it. (and way more worth it than the gals at L’Oreal believe!) It’s the most important thing I can do for my family. But that’s me and like my friend Myleigh from The Clean-Living Clinic says – what YOU can is enough. And it’s SO true. We will roll out more of this insight monthly and invite our friends like Myleigh to share some of their wisdom too, so stay tuned peeps.